Well, that was more than a little disappointing. 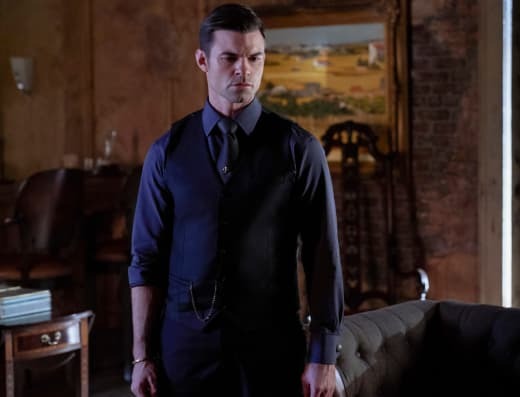 The Originals Season 5 Episode 13 was the series finale, and it was a frustrating installment that felt more like a season finale. Let's start with the way Klaus and Elijah died. There was an element to it that was poetic justice for everything they've done over the years. 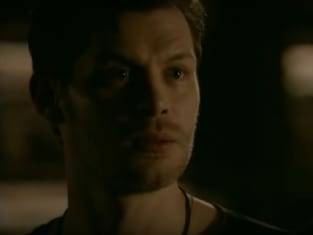 If you watch The Originals online, you know that Klaus was prepared to sacrifice himself in the name of saving his daughter's life. That proved Klaus had progressed as a character and was open to making decisions that were not just beneficial to him but to those closest to him. 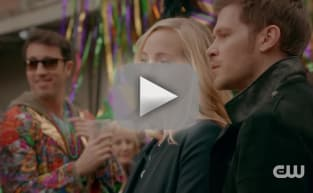 Related: Legacies Trailer: Welcome Back to Mystic Falls! 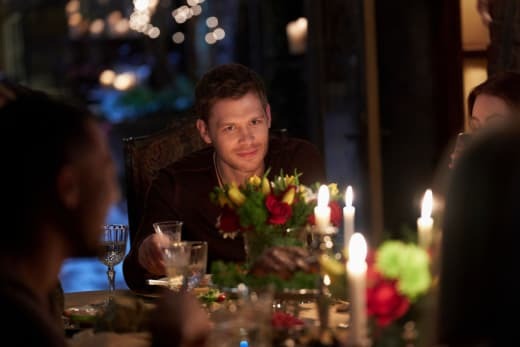 It's crazy, but Klaus was introduced as a villain on The Vampire Diaries, and he was such a convincing one with a colorful personality that it made him one of the show's better characters. Caroline picked up on his progression, and while Candice King's appearances on The Originals Season 5 have felt like a stepping stone to set up a Klaroline pairing, it was not meant to be ... at least, not to Julie Plec. 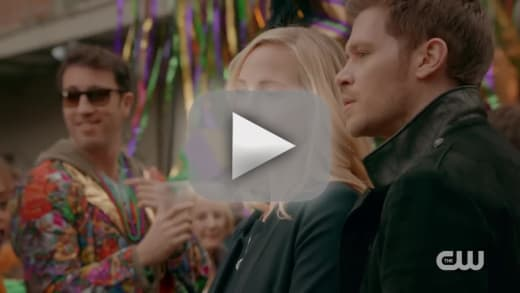 Caroline showing up for that tour of the city Klaus promised her back on The Originals Season 1 Episode 1 was beautiful, and the kiss was worthwhile, but having them not wind up together in the end? It was cruel. Caroline has a terrible track record with men. Tyler's dead, Stefan's dead, and now Klaus? Yeah, I think she's going to be well away from Salvatore Boarding School when Legacies debuts. How can she look at Hope or those books that paint Klaus as a villain? Caroline admitted herself on The Originals Season 5 Episode 12 that Klaus was not the villain of her narrative, and that was a relationship-changing moment. I've never been the biggest Klaroline fan but having them make all of that progress and keeping them apart in the end was ridiculous. The death of Elijah was predictable. He's an honorable man who felt like there was nothing else he could achieve in this life, and I loved that he was ready to sacrifice himself in the name of saving his brother and niece. For those who were holding out hope for one last moment in the afterlife between Elijah and Hayley, we were shortchanged. Julie Plec opted to keep it open-ended, and it's clear that was because of the possibility of the spin-off becoming a reality. We have to remember that the show concluded production before The Originals Season 5 even debuted. Still, the final scene may have been filled with the rawest acting yet from Joseph Morgan and Daniel Gilles, but it was a massive letdown. It was not the ending I'm sure any fan of the series will be able to accept as canon. 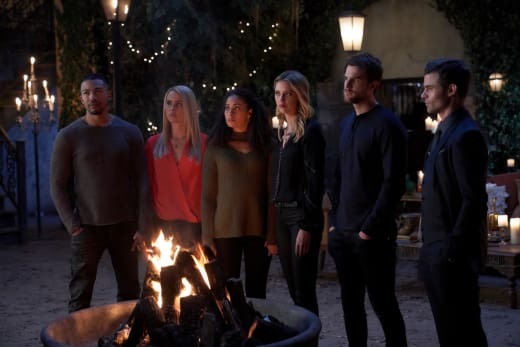 There should have been a flashforward to show what became of some of the characters who are not appearing on Legacies. My biggest gripe with the hour was nobody seemed to be doing much to save Klaus. It was like they accepted defeat and were trying to put on brave faces while making it look like they were doing something. Freya knew she was fighting a losing battle, and you could tell that even though she was looking for a loophole, she knew she was about to lose her brother. The positive was that Rebekah finally got a happy ending and that she and Marcel are together. 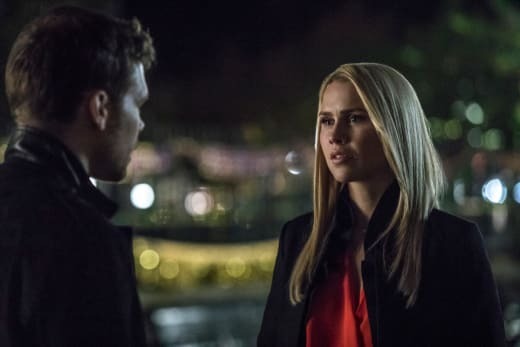 Caroline coming through with a cure for vampirism was a shock, but Rebekah has always been someone who wants to have that chance at a normal life. Now, that's a possibility for her. She will likely be married to Marcel before having a child of their own. But there's some explaining that needs to be done here. The cures were all used up when The Vampire Diaries concluded. 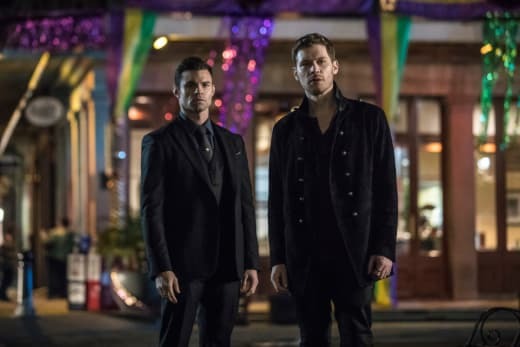 The Originals Season 4 had a huge time jump following The Vampire Diaries Season 8 and The Originals Season 5 had yet another big time jump. What's been going on with these cures to allow one to be sitting unused in Mystic Falls? Did Caroline have one in hiding in the event she decided to return to being a human? Also, if Rebekah was to take the cure and become human, where does that leave Marcel when she grows old and dies? Hell, we don't even know that she would really grow old. She could die of natural causes before then. It's about time she married Marcel, but how will she and the love her life be able to get to grips with the fact that she'll be dying and he'll still be roaming the world? Related: Legacies: How Will Paul Wesley Be Involved? It also makes me wonder what will become of Kol. Davina isn't immortal. Kol will likely wind up being the only immortal person in the family remaining. He could be the only original in all of the world in about 100 years. As for Freya, Keelin, and Vincent's decision to have a child, I can get on board with that. Freya and Vincent have carved out a robust friendship and value one another dearly. Vincent has struggled to find a purpose ever since Ivy's untimely passing, and he's giving Freya and Keelin the gift of a child. All things considered, this was not the series finale I expected nor one that I think the fans deserved. It was filled with pacing issues and random developments in the name of bringing some closure to some of the plots. For lots of fans, the conclusion of this series will be the deciding factor in whether to give Legacies a shot, so there was a lot riding on it. The returns of both Camille and Mikael were awful. It served nothing to the overall plot, and it took up time that could have made the rest of the weak final hour better. Hayley could show up to check on Hope, but she couldn't check on the love of her life? Okay then. There was much hoo-ha about Declan taking over the human faction, but what did he actually do? It was about time Marcel cut all of the vampires loose. I'm surprised that never happened long ago, to be honest. Could Marcel stop by Mystic Falls to give Hope advice? It sure seemed like it was being set up that way. What are your thoughts on the series finale? Was it a fitting conclusion, or did you expect a lot more? Legacies debuts Thursday, October 25 on The CW!